Veterans — Cardinal Capital Management, Inc. In partnership with the Center for Veterans Issues, we have built two locations of one-bedroom units of supportive housing in Wisconsin. 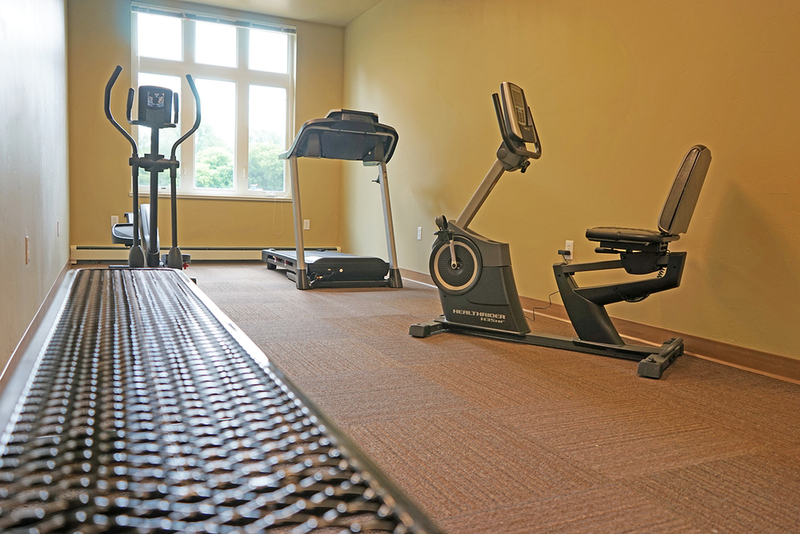 Veterans Manor in Green Bay contains 50 units of affordable housing and supportive services. 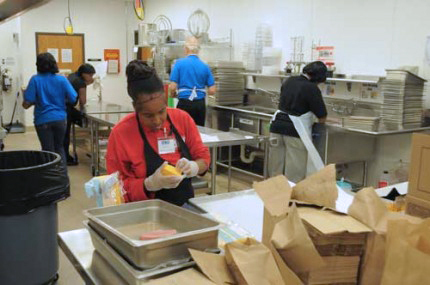 Veterans Manor in Milwaukee has 52 units and also includes a commercial kitchen and Troop Café, which is a full-service restaurant that employs and provides career training for veterans. We plan to build another property for veterans in Fayetteville, North Carolina and have submitted an early application required of the NC tax credit process: We have made the first steps in building a partnership with the local chapter of the National Association of Black Veterans (NABVETS) and a coalition of supporters among local political groups and stakeholders. Cardinal Capital hopes to build upon the success of Veterans Manor Milwaukee and Veterans Manor Green Bay by developing supportive housing that will meet the needs of veterans and their families. "[T]rainees learn customer service, food handling and safety, the vagaries of timing and temperature in the kitchen, rotation of food stock, sanitation and knife safety. They start out slowly by doing salad prep work and making cold sandwiches, advancing to hot food and learning how to make soups and sauces. Among the four current trainees is Rick Kruchten, who spent 10 years in the Navy as a cook. 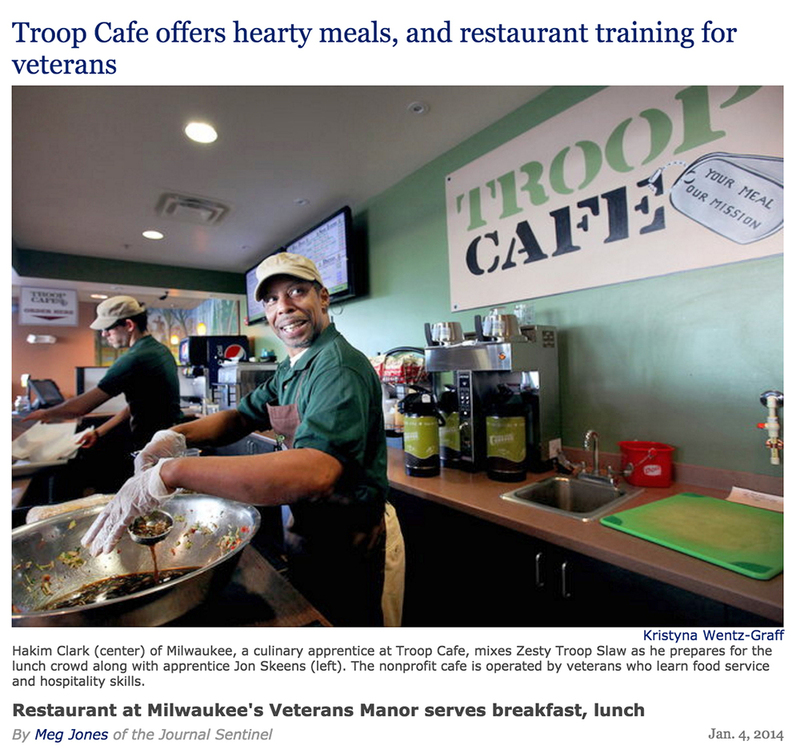 He saw an email about Troop Cafe and submitted an application. With his experience, Kructhen has become a lead person and mentor to other trainees." Click here to read more.